A train derails, resulting in a significant chlorine spill. The resulting evacuation not only causes a temporary displacement of agency facilities, but the effects of the chlorine also create lasting damage to automation and communication systems. A pandemic flu materializes, rendering up to one third of the department’s workforce – civilians and sworn officers alike – unable to work. Projections are that the pandemic will last up to two months with multiple waves of illness. Each of the above scenarios shares two common characteristics. First, they are plausible. Second, they would dramatically alter the ability of a law enforcement agency to effectively deliver its services to the community. Taken together, this is why continuity of operations planning becomes so essential. And, it quickly becomes clear that, while simple in concept, COOP raises many complexities in actual practice. The fundamental principle of COOP is to plan for situations in which normal operations and procedures are disrupted. COOP includes many of the elements which would be relevant to the situations raised earlier – whether moving to an alternate facility; ensuring that records can be accessed; utilizing alternate communication technologies; or managing significant disruptions in availability of personnel. Not engaging in COOP development – or doing so minimally or without regular followups and revisions – can pose a liability to agencies. Complicating COOP considerations for law enforcement agencies is that, like other emergency services, but unlike other organizations, they cannot close and regroup until the crisis passes. Service delivery must remain as seamless as possible. 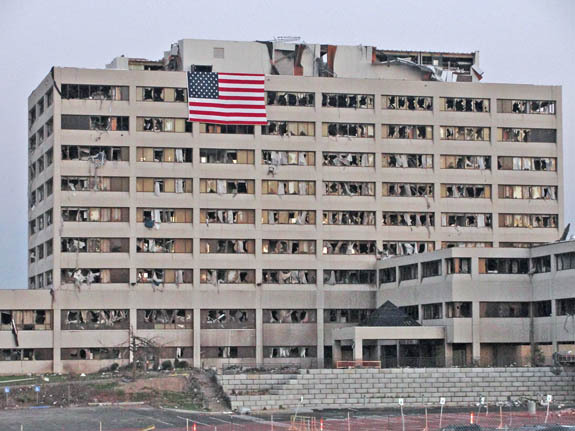 The National Incident Management System (NIMS), developed by the U.S. Department of Homeland Security, emphasizes the importance of continuity planning as a part of its preparedness component. Likewise, COOP activities are included as part of the U.S. Department of Homeland Security’s National Preparedness Goal under the Planning Capability of the Protection Mission Area which states, “Implement, exercise, and maintain plans to ensure continuity of operations.” The 2012 National Preparedness Report found that efforts related to continuity planning had expanded dramatically since 2006 which signals a positive trend. However, continuity planning must be an ongoing activity, meeting the three elements signaled in the Preparedness Goal. First, plans must be implemented. It is important to distinguish continuity plans from standard Emergency Operations Plans (EOPs). While the two necessarily can link to one another, the purposes are distinct. EOPs provide guiding principles for an agency’s response to a disaster, crisis, or emergency situation. 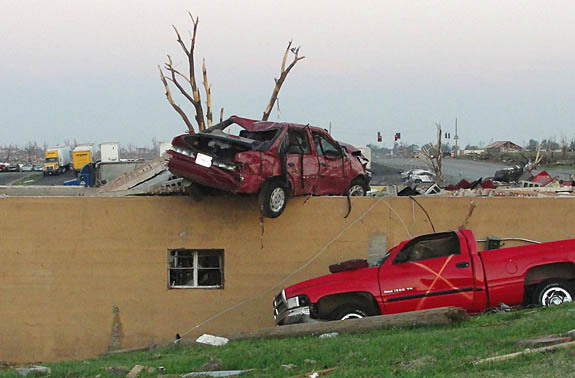 For instance, an EOP would offer guidance on what a police department should do if a tornado were to strike within its jurisdiction by outlining a concept of operations, noting operational authorities, specifying all hazards guidance for a variety of functional areas, and providing more detailed information about responses to specific hazards – like tornados – for which there is a risk in the jurisdiction. On the other hand, a COOP would focus on what a police department should do if that tornado were to render the agency unable to accomplish its own mission. As such, COOP involves much more than deciding where to relocate. The Federal Emergency Management Agency (FEMA) offers specific guidance in its document, Continuity Guidance Circular 1. It is also important to incorporate requirements or guidance provided by state or local governments and emergency management agencies. Following FEMA guidance, the process generally begins by identifying the agency’s mission essential functions, as these are the activities for which continuity must be provided. The standard elements of the plan include specifying when the plan will be activated and when normal operations will resume; when decision making authority will be delegated (and to whom and for what functions); the leadership’s order of succession; arrangements for alternate facilities and methods of communication; provisions for securing records; and training and exercising the plan. In any given incident, not all of these sections may be utilized. 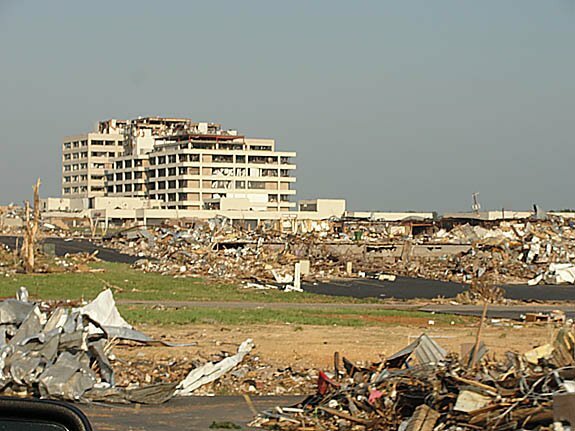 Consider the opening scenarios – a tornado may require the need for an alternate facility with alternate communications; a chlorine spill may damage electronic records, requiring use of records preservation provisions; and a pandemic could invoke order of succession or delegation of authority. However, all elements of the continuity plan should be considered in the planning process. The development of COOPs should not be relegated solely to administrative personnel or policy coordinators. The planning process should be inclusive of representatives from multiple functional areas of the agency including sworn personnel at various levels – especially line officers, records clerks, communications officers, and others. These individuals know their daily jobs the best and are well situated to consider the sufficiency of various options for ensuring continuity of their own work. Second, plans must be exercised. This serves multiple purposes, including familiarizing staff with the plan, testing its provisions, and promoting collaborations with external agencies likely to work together in an emergency situation. Exercises may be stand-alone continuity themed scenarios or continuity objectives may be incorporated into a larger tabletop, functional, drill (particularly useful to test the capabilities of alternative facilities, communication systems, and record systems), or even full-scale scenarios. Most essential for exercises, in addition to careful planning and evaluation, is the development of an after action report which can, in turn, inform the revision and fine-tuning of existing plans. Both in developing plans and exercise scenarios, it can be instructive to review the jurisdiction’s hazard mitigation plan. While COOPs, like EOPs, are written from an all hazards approach, it is also true that earthquakes, wildfires, floods, volcanoes, and other natural disasters may lead to very different continuity needs and actions, based on the risks specific to a location. The same holds for the types of industrial or human instigated crises which may emerge, based on place. While no scenario should be discounted, recognition of local hazards is instructive. Third, plans must be maintained. There is a tendency for plans which are not often used (and, hopefully, COOPs do not have to be used frequently) to collect dust on a shelf. Just as agencies are dynamic, COOP plans must also be. Changes in leadership, facilities, and equipment may necessitate changes in the COOP. What if an alternative facility becomes unavailable? What if a new radio system is put into place? If the plan is specific to old locations and technologies, it will be of diminished value. When new programs are implemented which become part of the agency’s mission essential functions, they must be considered in terms of how they will be addressed in the continuity plan. Perhaps, most importantly, maintaining the plan entails efforts to communicate it to staff. If you are an administrator, are you confident that your officers know the plan? If you are a line officer, are you confident in the knowledge of your department’s plan? Better for employees to know now than to not understand directions related to transferring operations later. Weapons: How will the arsenal be protected or transported? 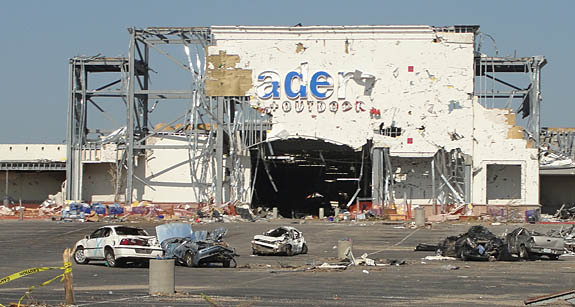 While arsenals are generally highly secured and protected areas within a facility, a disaster could lead to a breach or the requirement of abandoning the facility as a whole. Is there a protocol for determining when to relocate the arsenal, to what space, and how? Within the alternate facility, is there a suitable area for weaponry? Evidence: Similar concerns emerge for evidence in pending cases. When does it need to be moved and what priority should it receive? 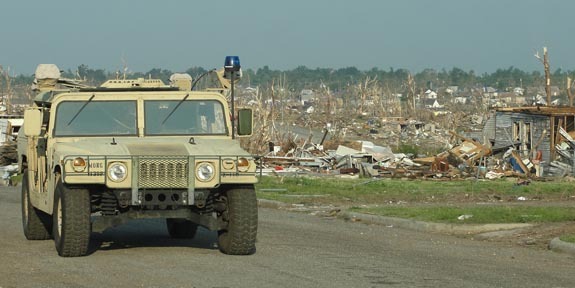 Following Hurricane Katrina, some evidence was lost and cleanup was continuing as recently as 2011. Certainly, questions about chain of custody could also emerge if the security of evidence storage was breached. Laboratories: Related to evidence, agencies and those who depend upon them (e.g., prosecutors’ offices) should be prepared to handle temporary inaccessibility of crime laboratories. COOPs should take into account how the work of the crime lab relates to mission essential functions, the impact of disrupted crime lab operations on ongoing analyses, and any concerns related to hazardous materials which might stem from damage to, or movement of, lab equipment and supplies. K-9 Partners: How will a department’s K-9 partners be cared for in a continuity situation? What if a K-9 officer’s home kennel is rendered unavailable or if supply chains for dog food are interrupted? Inmates: Planning for the evacuation of a detention facility, even one with few inmates, is no small task. Likewise, problems related to long-term power outages or lack of availability of supplies or running water in an otherwise structurally sound facility are challenging issues. If continuity needs include responding to a personnel shortage, how will appropriate supervision of inmates be ensured? One consideration may be relocation of inmates in advance, if there are indications of a pending emergency. Of course, any relocation presumes that space is available and that the alternate detention facility is not similarly impacted by the crisis situation. shortages, or an unavailability of fuel, which would be detrimental to patrol and other operations. While this could stem from a variety of circumstances, the unavailability of necessities due to slowdowns in production and transportation is a common theme of discussion in pandemic preparedness. Communication: Depending on the type of disaster, communication lines may be partially or completely inaccessible. Likewise, communication operations (e.g., 911 center and dispatch) may have to be relocated. 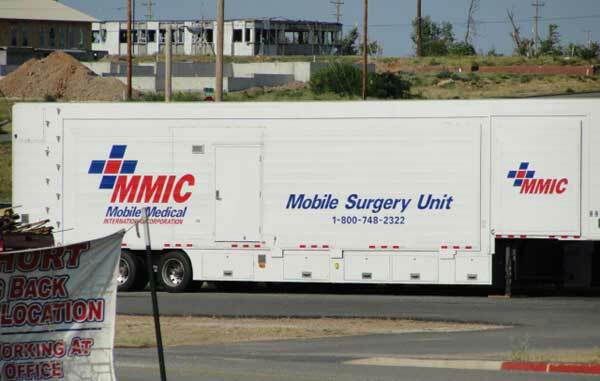 NIMS standards specify that communications should be interoperable and portable, a key lesson learned from past events. Cross-Training: Delegation of authority is a key component of COOPs. But, in planning delegation of authority, particularly when focusing on mission essential functions, it is important to consider cross-training – both in the context of who currently has it and who should get it, particularly when necessary to ensure continuity of specialized operations. For instance, there may be only a small number of persons in an agency prepared to assume the role of emergency response team commander, crime lab supervisor, digital forensics examiner, budget director, etc. As a result, COOPs should be informed by a realistic, rather than idealized, assessment of the feasibility of delegating authority in mission essential areas and how to proceed if personnel are unavailable or unable to come to work. There are two additional areas that, while not part of a traditional COOP, are worthy of comment. These issues become important in disaster response and recovery, but also should be anticipated in planning for disruptions of service. Families: Evidence suggests that role abandonment, in which public service employees abandon their assigned posts in crisis situations, is rare. When it does occur, caretaking for family members is a significant reason and, even without role abandonment, it is natural for first responders to be concerned about their families. Advanced planning can help to address these concerns. For instance, the Fraternal Order of Police has developed the Law Enforcement Families Readiness Initiative, including recommendations for officer family readiness and a model policy. Stress: Any emergency situation has the potential to induce stress, but this can certainly be magnified if agency personnel have to deal with two crises at the same time – one as the precipitating event for which an emergency response is required and the other as a disruption of normal operations, services, facilities, and so on, requiring implementation of the continuity plan. While COOP training and exercising can increase familiarity with procedures and reduce uncertainty, it remains important to be aware of the impacts of stress. Particularly in the aftermath of the incident, it is important to be aware of the possibility of critical incident or post-traumatic stress and to have resources available for personnel experiencing stress-related symptoms. Disasters are those situations in which available resources are insufficient for responding to an incident, and it is in disaster situations when continuity plans are most likely to be needed. However, they are not limited to disasters like those listed at the beginning of the article. A broken water main flooding police headquarters; a major incident occurring when key personnel are away at a meeting; a long-term power outage or communication system failure; a fire on agency property; and a host of other conditions can also require use of elements of a continuity plan. As a result, the importance of COOPs cannot be overstated. While, hopefully, there will be few (if any) calls to use a continuity plan, they should remain a central part of the emergency planning process for law enforcement agencies. Find your COOP, dust it off, train for it and exercise it, regularly review and revise it, and hope that it doesn’t have to be used – but you’ll be prepared if it ever becomes necessary to do so. About the Authors: Dr. Stephen Owen is a Professor of Criminal Justice and Chair of the Criminal Justice Department at Radford University, Radford, VA.
Dr. Tod Burke is a Professor of Criminal Justice and Associate Dean of the College of Humanities and Behavioral Sciences at Radford University, Radford, VA. He is also a former Maryland police officer.